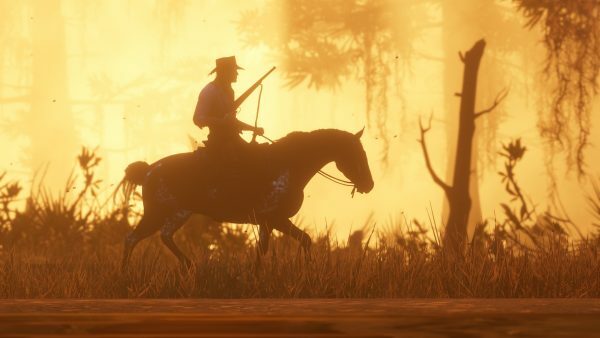 Red Dead Redemption 2’s hunting mechanics are more in-depth than they are in most dedicated hunting games. You not only have to worry about tracking and taking down game, but what you use to do it. The hundreds of species, the different ammo types, the different weapons, the tactics and equipment make it incredibly involved. It’s easy to get overwhelmed. Worry not, as we’re here to walk you through it, to guide to you the right spots, and to help you bag perfect pelts. First off, you should avoid going for animals under three star-quality where you can help it. When you spot your prey at a distance – make sure you stay downwind so they don’t pick up your scent, visible in Eagle Eye mode – pull out your binoculars. Study the animal and it should give you a star rating on their pelt. Three stars – Pristine – is what you want. 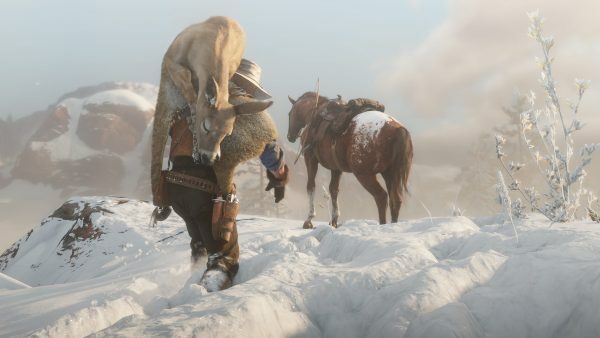 As our Red Dead Redemption 2 pelt guide points out, you then need to use the correct ammunition on the animal to keep the pelt at high quality. You also need to go for kill shots, rather than repeatedly firing at them. As mentioned above, the quality of your kill is about using the right ammunition (which you can check in the compendium), as well as making a clean kill. 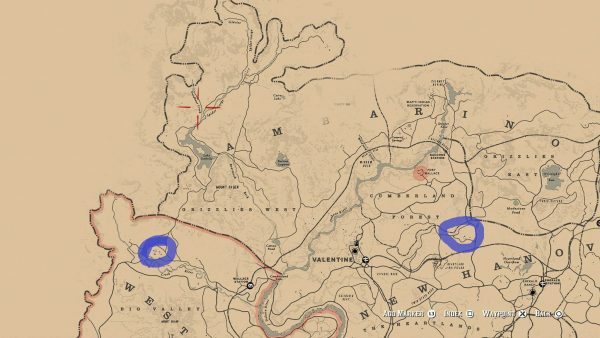 All animals have kill spots that you can target for an instant kill. 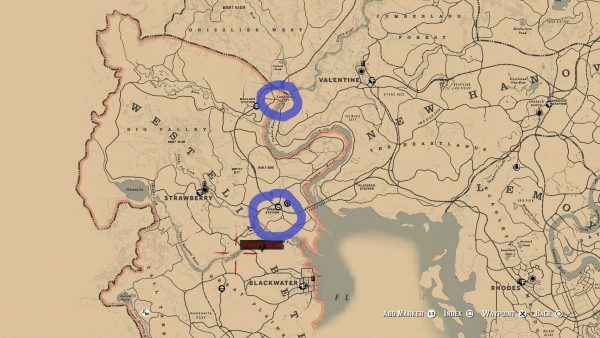 These areas are highlighted in red once you reach Level 4 of Dead Eye. Unlocked in Chapter 5, this Dead Eye upgrade makes your reticle turn red when close to a vital organ such as the brain or the heart. Hit these small targets for an instant kill. Be aware that you also have to account for penetration, though – animals with thick skulls, for example, can only be taken down instantly with high-velocity cartridges and powerful rifles. Looking for the best pelts for the trapper? 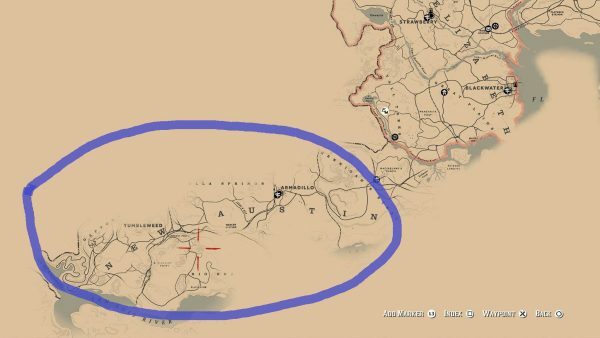 Here are the legendary animal locations in Red Dead Redemption 2. So, you now know exactly what to do with each animal you encounter. The only problem is, where do you find the buggers? Here I’ll break down animal habitats for you so you can head off to bag your trophies. I’m not going to list every animal in the game because I will be dead before I’ve finished. 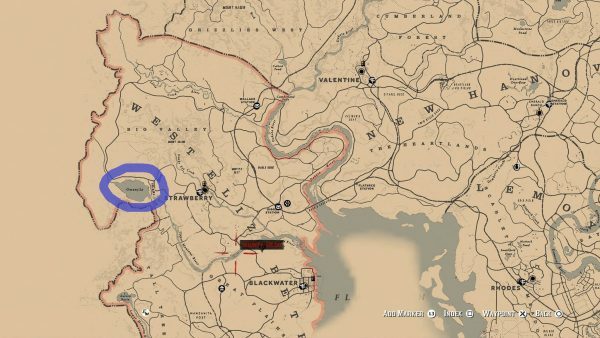 Some of the animals can be found across large portions of the map anyway – those damn badgers are everywhere. 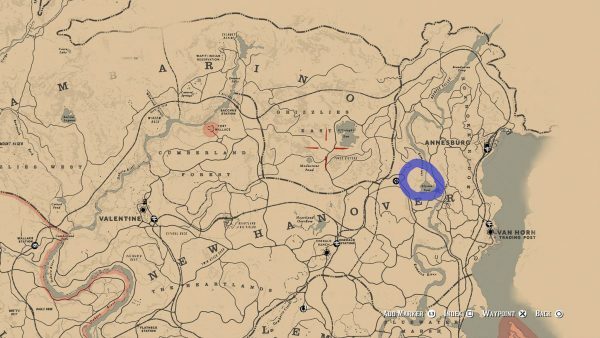 Instead, I’ll list some of the hardest animals to track down. For other animal species, just use a bit of common sense. Pigeons scavenge in Saint Denis, gulls are by the coast, farm animals are in farms, and amphibians are by lakes and rivers. 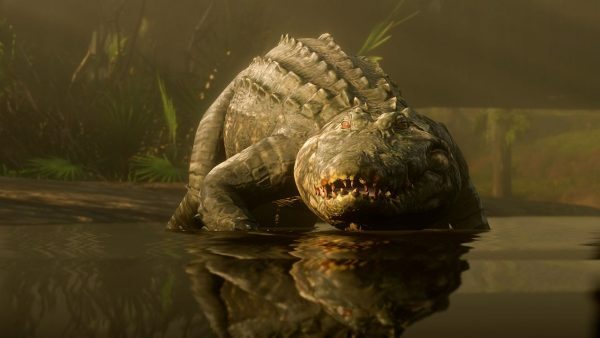 The Bayou North of Saint Denis features its own habitat and hosts species such as bullfrog, alligators, cranes, egrets, and turtles. New Austin is home to desert-dwelling animals. 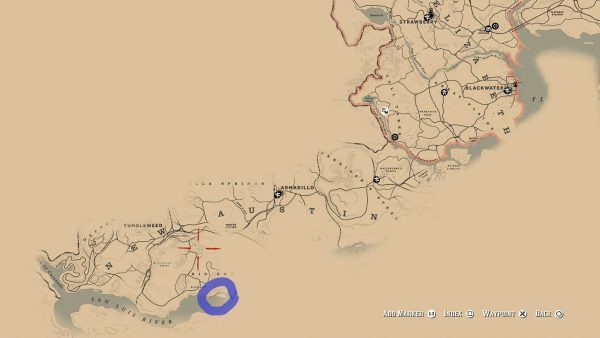 Check out our Red Dead Redemption 2 Legendary Fish guide if you want to hunt the relaxing way. You can also check out our guide on how to get perfect pelts and where to sell them. 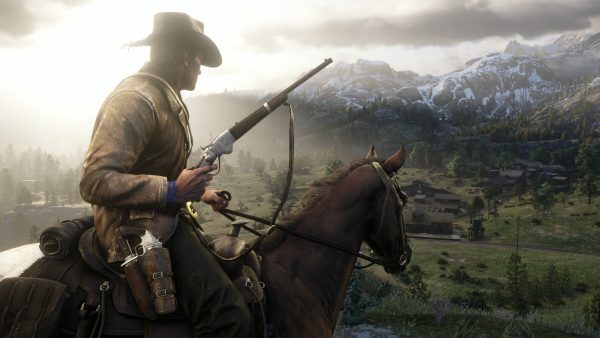 Take a look at our big Red Dead Redemption 2 guide for more tips, tricks, cheats, and easter eggs. 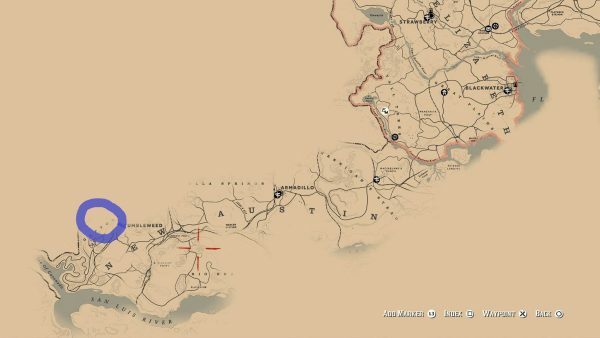 The post Red Dead Redemption 2 hunting guide – legendary animal locations, all standard animals, and tactics appeared first on VG247.